This map is out of date! 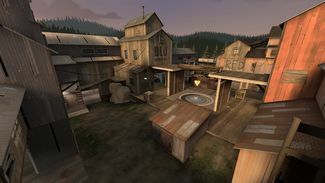 See cp_snakewater_rc5 for updates! last spawn was moved back i do believe, the gotfrag thread didnt have a change list either tho so bit wierd. RC5 will include a major artpass and further balancing of 2, I have a few quite radical ideas that I'm going to try out. Thanks chojje, ill repost the updated version.